Yum. Mint tea! It’s super easy to make. Just cut some mint from your backyard (or buy the dried mint at the grocery store). Place the mint in boiling water for a few minutes. Then let the water cool and the leaves steep. 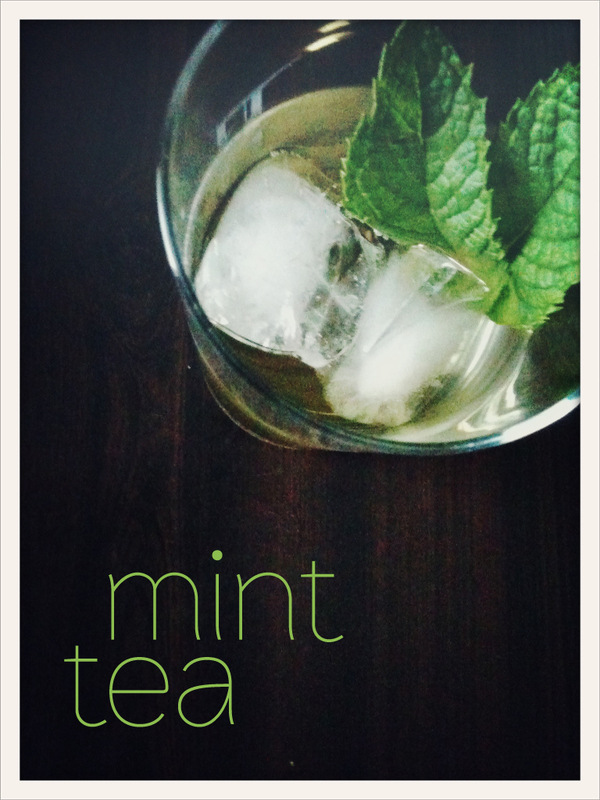 I like my mint tea cold, so I remove the leaves, pour it in a pitcher and place it in the refrigerator. After it is nice and cool, I pour it in a glass, add some ice and cheers! Tastes like summer.